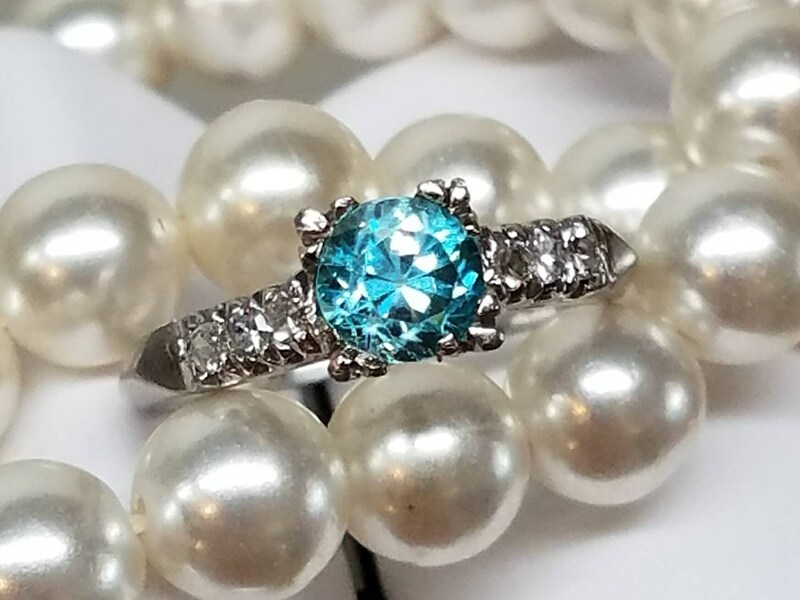 This vintage ring is platinum, with a central blue zircon. 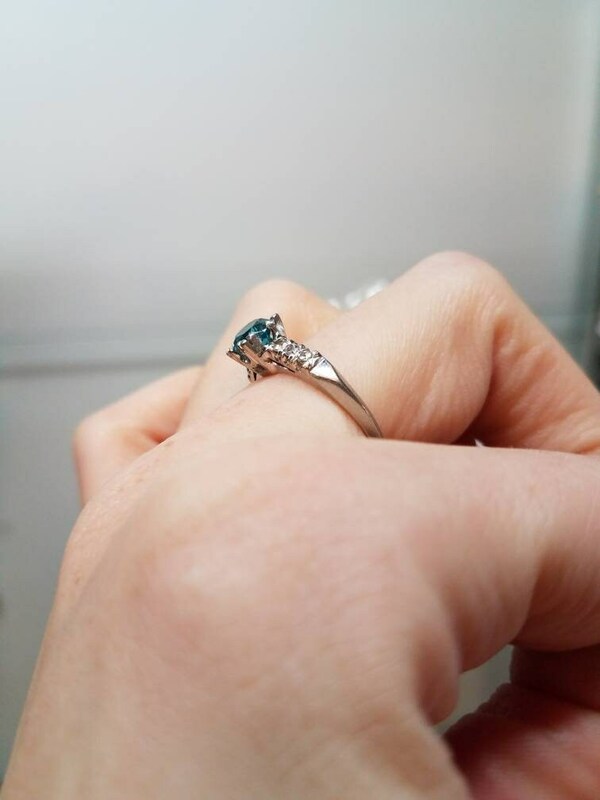 Three diamonds flank either side of the zircon, adding to the dazzling beauty of this piece. 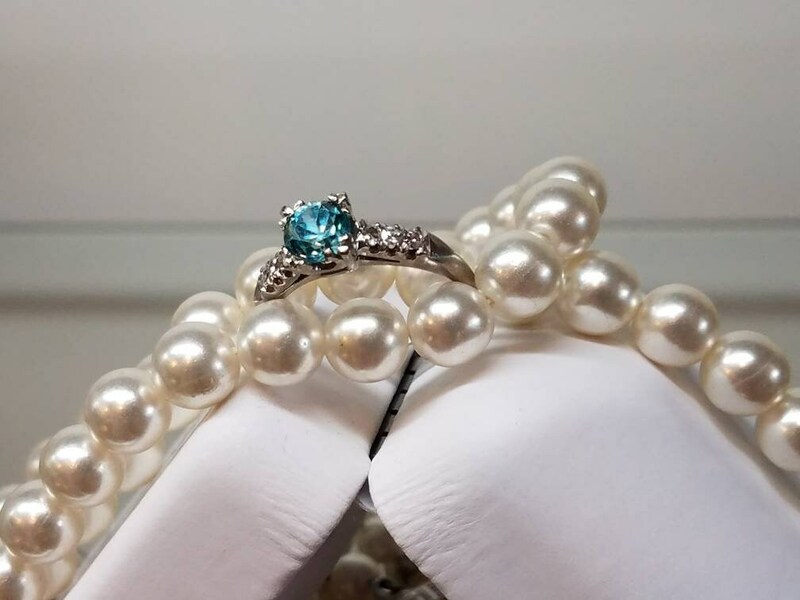 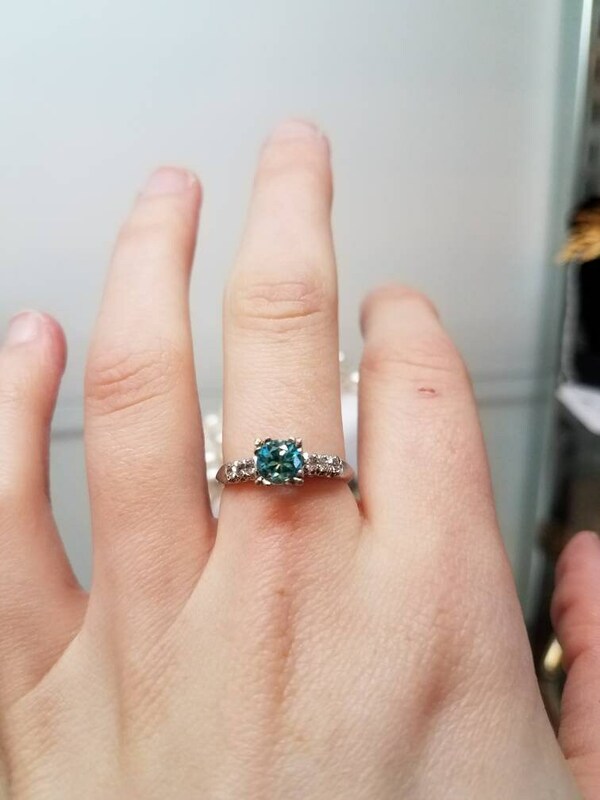 This ring is a size 6.75 and is in excellent condition.